The "land of wood and water", best describes Jamaica. An Island nation in the Caribbean with an incredibly strong unity among its people. The perfect Caribbean destination that will undoubtedly turn your typical New World golfing experience into a fusion of fun, challenging, and most importantly, a relaxing golf escapade. 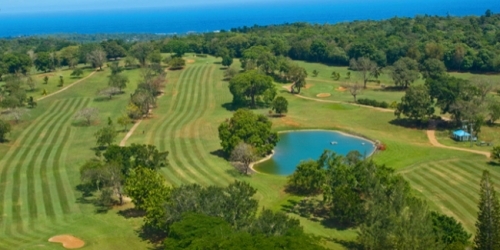 Tropical Jamaica is home to a number of championship courses including Cinnamon Hill Club, White Witch Golf Club, Half Moon Golf Club, each course challenging and cooled by prevailing tradewinds sweeping across mountainous terrains, but above all, refreshes you with the cool view of the Caribbean dazzling waters. Montego Bay reserves the right to change price and offer at anytime. Prices and offer are subject to change without notice. GolfTrips.com is not responsible for errors posted in this golf package.